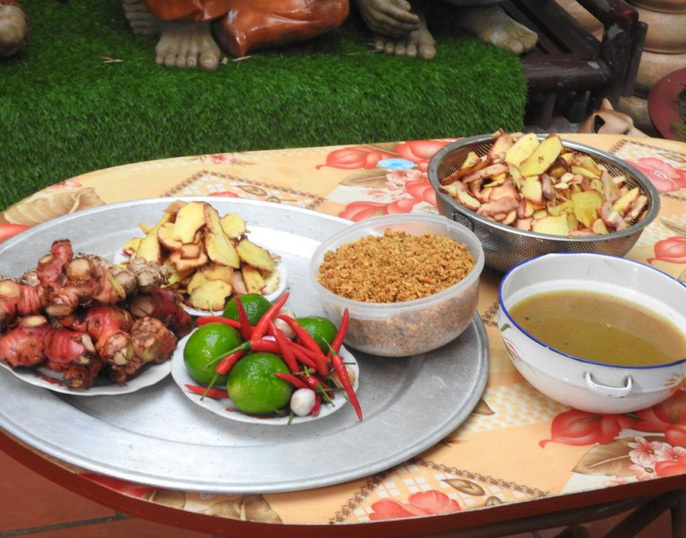 Dai Hoang or Vu Dai Village in Ha Nam Province has been busy again in order to prepare their special braised fish during Tet. As Tet is approaching, the villagers stay up all night to prepare braised fish for customers in Vietnam and abroad. The villagers starting making the dish since the start of lunar December. Some people had to hire dozens of new employees in order to fulfil their orders during this time. Villager Tran Luan said Vu Dai used to be a wetland and almost every household had their own lake. Since fish was their daily dish, people eventually became bored of it. They started thinking of new ways to cook fish and came up with the braised fish. It is also their traditional dish for Lunar New Year. As the villagers went to work in other provinces, the reputation of the braised fish dish also grew and became well known. The first step to making a good dish is to clean the earthenware pots well and rinse them with boiled water. Black carp are the most popular fish used and bought from all over Vietnam. The fish must be healthy and weigh at least three to four kilos. 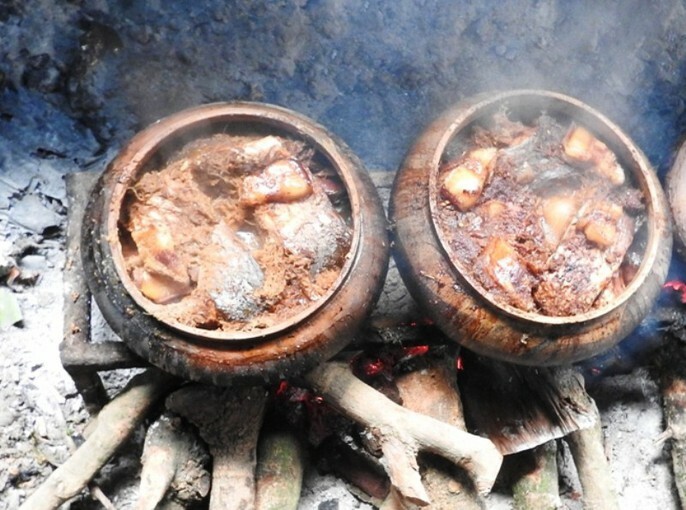 The fire must be constantly kept at a low level for 16 hours so that the essence of galangal root, chilli, and coconut milk and other ingredients can soak into the fish. That’s why the villagers have to take turns to stay up all night and look after the fire. 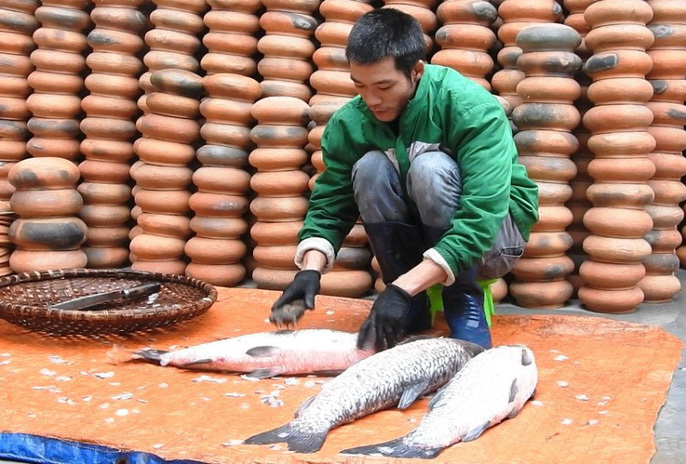 Thousands of pots of fish are sold during Tet. 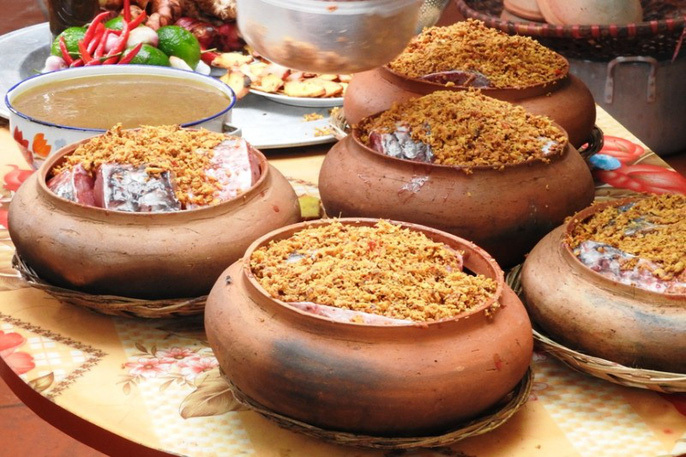 Many buy Vu Dai braised fish as a present. The work has helped create many jobs for the people in Vu Dai Village. A kilo pot is sold for VND400,000 (USD17) to VND500,000 and the prices can go up to VND1m to VND1.2m for a 3kg pot.